• Headline of the week/weak: "Thief Forgets To Log Off Facebook After Burglarizing Home." • Molly Fitzpatrick's illustrated guide to the best and worst sleeping positions for couples is all kinds of great. • Next month the A's are holding a "Jewish Heritage Night" and I really want the giveaway hat. • One of the best and most underrated soul singers of all time, Bobby Womack, died at age 70. • Someone hacked into the Astros' internal database and leaked 10 months of trade discussions, but sadly there was nothing Twins related to be seen. • Lauryn Hill is one of my favorite musicians, but I skipped her show at First Avenue this week for fear it would be weird and sad. Based on the reviews, I'm going to be kicking myself forever. • Now retired and 39 years old, Livan Hernandez throws batting practice for the Nationals and mimics opposing pitchers. 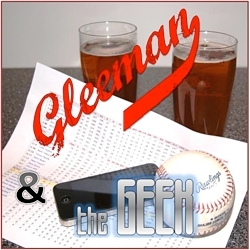 • On this week's "Gleeman and The Geek" episode John Bonnes and Kate Butler teamed up to make fun of me for 90 minutes, and then walked a little about the Twins' bad starting pitching. "Can you put it back in?" • There's no "Gleeman and The Geek" show on KFAN this Sunday because my co-host is out of town and it's a holiday weekend, but if you still need to get your fix listen to me as a guest on the "No Juice Podcast" with Parker Hageman and Dan Anderson. We talked about a bunch of weird stuff, including a surprising amount of baseball. If you like me, you'll like it. • Speaking of the holiday weekend, I'm going to a bunch of Twins-Yankees games at Target Field and this is basically my nightmare. • A local stripper claims Royals pitchers Bruce Chen and Yordano Ventura weren't the best patrons while in town to play the Twins. • Zach Lowe of Grantland is my favorite basketball writer and his breakdown of Kevin Love and Klay Thompson was very interesting. • You know the list of celebrities for the All-Star softball game is star-studded when one of them lives in Chanhassen. Oh, and Love has already canceled his scheduled appearance. • I enjoyed Joe Posnanski's long read about Raul Ibanez the player and the person. • Friend of AG.com Maggie LaMaack put together some helpful writing tips, including something (that) I'm guilty of regularly. 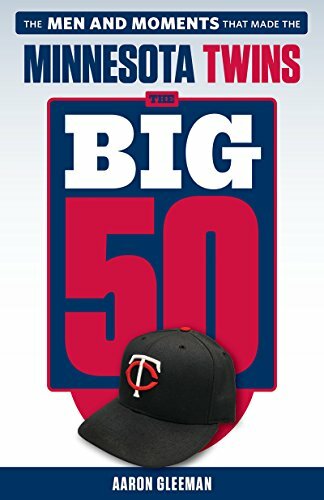 • What does Jorge Polanco's early Twins debut mean for his future? • One-time Twins minor leaguer Yangervis Solarte turned back into a pumpkin for the Yankees. • Finally got sick of my Honda Fit and traded it in. • I ate No. 1 on this City Pages list Sunday and it's legit, to the point that I've been thinking about it pretty much non-stop since. • Todd Glass was a great guest on "Never Not Funny" with Jimmy Pardo and Matt Belknap. • Movie recommendation: "They Came Together" starring Amy Poehler and Paul Rudd is a funny parody of romantic comedies and you can rent it on iTunes instead of going to a theater. - "Fat bearded Twins blogger"
- "What does built like a fire hydrant mean?" - "Perkins restaurant bar stools"
• Oscar De La Hoya can apparently confirm what Rick James always said. • Tom Brady appears to be enjoying the NFL lockout. Maybe a little too much, even. • As someone who grabbed chocolate milk in the cafeteria every day from kindergarten to high school this news gives me mixed feelings. On a related note, I've been fat since junior high. • Estella Warren sounds like a fun hang. • Before he spent $200 million to be the new Mets minority owner David Einhorn finished 18th in the World Series of Poker main event and donated the entire $660,000 prize to charity. • As a big Bill Withers fan who wishes he'd have kept churning out albums, his interview with The Onion is fascinating. • After weighing the joy of motherhood versus her Official Fantasy Girl of AG.com title chances, longtime candidate Jenna Fischer made what can only be described as a questionable call. • Prior to adopting the "Macho Man" persona and becoming one of the greatest pro wrestlers of all time, Randy Savage was Randy Poffo and he played minor-league baseball. • My first thought after reading this story? "Hey, that happened right next to the Taco Bell and White Castle that I go to." Luckily danger only makes fast food taste even better. • I've seen enough people mocking "jorts" to know that jean shorts are a no-no and lately I've seen similar goofing on cargo shorts, which has me wondering exactly what type of shorts are acceptable for, say, a 28-year-old man to wear in the summer? I don't buy into the "no shorts are acceptable on men" theory, because I'm not prepared to sweat to death any time the sun comes out. Some of us require ventilation to survive in the outdoors. Speaking of Conan O'Brien, the comedian warming up the audience for his show is also one of the original podcasters and the Los Angeles Times ran a nice feature on Jimmy Pardo. • Four words: The Cosby Sweater Project. • My boss resigning was a pretty big story. I heard about it in the New York Times. • ESPN and FOX teamed up to keep NBC away from college football. • Call me crazy, but it sure seems like Maria Menounos might work out. • Two of my favorite podcasters, Jesse Thorn and Marc Maron, have teamed up to bring "WTF with Marc Maron" to public radio in a trend we'll likely see more of as the medium evolves. • My latest podcast discovery: "How Was Your Week" with Julie Klausner, which can probably best be described as delightful even though a scan of the archives shows that I've used that word just twice in 10 years of blogging. For starters, listen to the episode with Jen Kirkman. • David Kahn is as good at telling jokes as he is at general managing. • Baseball writers might be going a little overboard quoting anonymous scouts. • I should have spent more time learning about IPO and less time learning about OPS as a kid. • Speaking of which, I'm now on LinkedIn even if I'm not sure why exactly. • Christina Hendricks, if you read this (she often skips non-Twins entries): I'm not deterred. • The fatal flaw with this study? What about the men who're moody because they can't attract any women? Not me, of course. I'm asking for a friend. • One of my favorite writers, Michael David Smith, recently added editor at SB Nation Chicago to his list of gigs along with ProFootballTalk and MMAFighting.com. • Speaking of Chicago, the "Bear Jew" is a factual nickname for Gabe Carimi. • On a related note, a couple months ago I mentioned a documentary about Jews in baseball that was playing at a local film festival and now the movie is available on Netflix streaming. • New blog to check out: Twins Fan From Afar. • As you may have noticed on the sidebar the "AG.com Sponsor of the Week" program is set to begin next week. I'm happy to report that the response has been positive and early spots are filling up fast, so if you're interested in promoting a product, service, website, or local business while also supporting all the free content on this blog please check it out. • Leave it to The Black Eyed Peas to get the entire country to agree on something. • This seems sort of unfair. I mean, the poor guy "said thank you and hung up." • I've never actually appeared in court, whereas Lindsay Lohan is a veteran defendant at this point, but this seems like a bit much. • Little Jerry Seinfeld finally got his revenge. • I remain highly skeptical, but Michael Rand of the Minneapolis Star Tribune attempted to solve the mystery of Anthony LaPanta's hair. • I used to have a similar system for finding inserts in certain baseball card packs. • Rotoworld's annual fantasy baseball draft guide is now available online. I'm "editor-in-chief" and it's a big part of my job, so I'd be grateful if AG.com readers checked it out. You get 1,000 player profiles and projections, a couple dozen strategy articles, customizable cheat sheets, and a whole bunch of other good stuff that adds up to 150,000-plus words of content updated all spring. Buy it, so I don't have to move back to the proverbial parents' basement. • Speaking of Rotoworld, the entire site underwent a dramatic re-design this week. • It turns out I know exactly what it feels like to be an award-winning movie star. • On a related note, being a non-movie star actor doesn't sound like much fun. • Ozzie Guillen watched the Super Bowl while eating a massive bowl of Jell-O. Obviously. • AG.com reader Andy Ulseth is a local musician who just released his first album and I'm very confident in saying it's legitimately good (as opposed to just "good for someone who reads my blog"). Acoustic singer-songwriter stuff is always right up my alley and Ulseth fits somewhere in the indie-folk or folk-pop realm with a bunch of really enjoyable songs. Check it out. 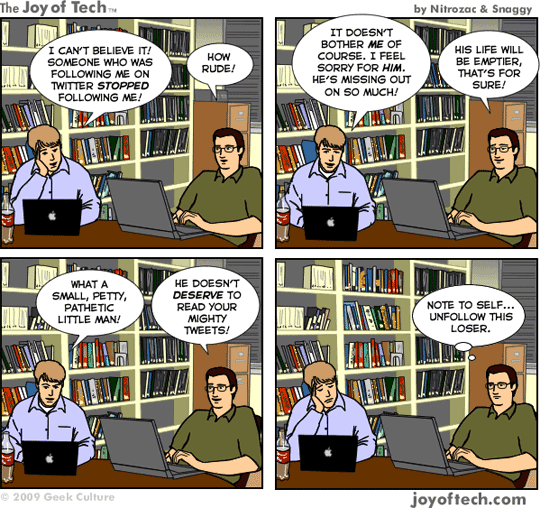 • I live this cartoon every day on Twitter. That would be sort of like if Bert Blyleven taught Roy Halladay a curveball, except if Blyleven was a really good announcer and had double sleeves of tattoos. • Speaking of actors teaching kicks to UFC champions, Vitor Belfort can blame Steven Seagal for being on the wrong end of one of the most memorable knockouts in MMA history. Seriously. • Howard Stern's recent appearance on Late Show with David Letterman was fantastic and it produced this picture, which is currently the background on my laptop. • "Never Not Funny" with Jimmy Pardo and Matt Belknap is such an outstanding podcast that I happily pay for it, but their latest episode featuring Conan O'Brien is available for free. • Few men could get mocked relentlessly for attending the Super Bowl while sitting in a luxury box and being hand-fed popcorn by their movie star girlfriend, but Alex Rodriguez managed. • Remember that one-punch goalie fight from last week's Link-O-Rama? I'm not sure whether it increases or decreases the hilarity, but the one punch broke the losing goalie's face. • This is not a great look for Tim Lincecum. Or anyone, really. • Without knowing it Ken Rosenthal and Kelly Oxford had an amusing Twitter conversation in my TweetDeck feed. • Peter Gammons quoting me in one of his MLB.com columns made my day/week/month/year. • I'm a big Norm MacDonald fan and a big High Stakes Poker fan, but I'm skeptical about how good they'll be together. Of course, the biggest issue with the upcoming HSP season probably isn't MacDonald replacing Gabe Kaplan, but rather that all the big-name players sponsored by Full Tilt Poker are no longer allowed on the show. • Jerry Sloan stepped down as Jazz coach after 23 seasons and his replacement is one of the original Timberwolves. • Ricky Rubio continues to struggle in Europe. • My fellow Party Down fans will love this. - Phil Hughes blames inconsistent changeup for second-half fade, but do numbers agree? - Mike Lowell is definitely retired and "hip replacement is most likely inevitable"
• I'll be on 1500-ESPN tonight, talking Twins with Doogie Wolfson starting at around 7:15. You can listen online here. • Who knew 19-year-old girls from Apple Valley were so tech-savvy? • As someone who regularly eats $11 worth of food from Taco Bell, this amused me. • I'm following A.J. Pierzynski's lead and not shaving for the entire month of "Movember." • On a related note, I live in fear of this every day. • Not a bad week for Ron Gardenhire, who won the Manager of the Year after five runner-up finishes and then signed a contract extension the next day. • If you're good-looking and a female, Coco Crisp might pay you $40,000 to live with him. • I'm not sure which is the more unlikely bit of Kris Humphries news, that he might be dating Kim Kardashian or that he's had two double-doubles in the past week. • I already have an app for this. Her name is Judi. • I can't think of a way to describe this properly, but I found it impossibly cool. And if you're not already a fan of The Basketball Jones, you should be. • At the end of the day, we're all Craig T. Nelson. • In fairness, ESPN was only off by about $36.5 million. • I'd be really worried about this, except luckily leaving the house, interacting with people, and dating are all required before fertility becomes an issue. • My latest podcast discovery is "Never Not Funny" with Jimmy Pardo and Matt Belknap. They offer the first 20 minutes of each episode for free and after listening to a few of them I ponied up the $19.99 for a season's worth of the full-length versions. And then I liked those so much that I spent $19.99 on each of the previous six seasons. Seriously. I spent $140 on a podcast, that's how good it is. • After years of annoying people about this topic, the world finally listened to me. • Beyond the Boxscore crunched the numbers on how long pitchers take between pitches and the results are very interesting. I'd have pegged the Twins as one of the faster-working staffs, but it turns out they're basically average. • Next time someone brings up Gold Glove awards as a viable measure of defensive ability feel free to tell them to shut up. • On a related note, my writing finally made into the newspaper. Sort of. • And to think, people have always accused the Spurs of being "boring" for a great team. Ha! • Call me nuts, but if someone offers me $2.1 million, for just about anything, I'll take it. Stick with it for a full minute or so, it's worth it. • Awful news for anyone who likes calm, reasoned talk radio. Shouting dumb stuff wins, again. • NBC will mercifully start showing Parks and Recreation again, and with a whole bunch of other comedy surrounding it too. • My favorite aspect of Twitter--aside from the ego boost involved in having "followers"--is that you really never know who's going to see and reply to your tweets. Within the past week I've gotten random replies from Peter Gammons, Mike Mayock's daughter, and the official Twitter page of the NBC show Community. Still waiting for one from Diora Baird, though. • My old friends at The Hardball Times are beginning to ship their annual book and, as always, you should buy it. • Remember the French-Asian fusion restaurant I reviewed a few months ago? They finally got a website and my review highlights the "press" page. It's kinda cute. And the food is nice, too. • Speaking of local places where I eat stuff, a new "donuts and coffee bar" called YoYo Donuts opened near me and I've quickly become one of their best (and fattest) customers. - Does the free agent compensation system overrate relievers? - Diamondbacks "listening" to offers for Justin Upton, but "need to be blown away"
- By giving White Sox chance to match any offer is Paul Konerko limiting interest?